The ad agency will represent the legendary auto group which will now have four dealerships across two major brands. “Through this expansion we’re not just adding a new dealership, we’re bringing new jobs to our community, and introducing the Orr Nissan approach of vehicle ownership to car buyers across Oklahoma,” says Aaron Leger, Owner/Operator of Orr Nissan Central. “Our goal is to use the latest technology to enhance the buying experience and bring a new way of doing business that today’s car buyers expect,” says Nathan Hanson, Owner/Partner of Orr Nissan Central. Big Thinkers Media will continue to serve as the agency of record handling all digital marketing and traditional media buying for the group. 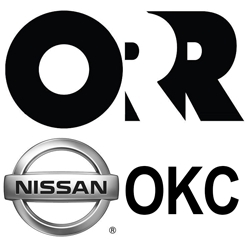 "We are proud to continue our relationship with the Orr Auto Group in Oklahoma. They are always willing to try new marketing techniques and strategies and we couldn't ask for a better partnership," said Mario Avila, co-founder of Big Thinkers Media. The Orr Automotive Group is a family-owned business that started in the late 1920’s in Texarkana, Texas with a Chevrolet dealership, which they proudly still operate today. They have worked tremendously to grow the family business, which now encompasses over 40 different dealerships throughout Texas, Louisiana, Kansas and Oklahoma. Big Thinkers Media was founded in 2018 by Aaron Leger and Mario Avila. They both saw a gap in what was currently being offered by other digital marketing companies and decided to form Big Thinkers Media to help businesses use the latest digital strategies and solutions available to grow their business and bottom line.